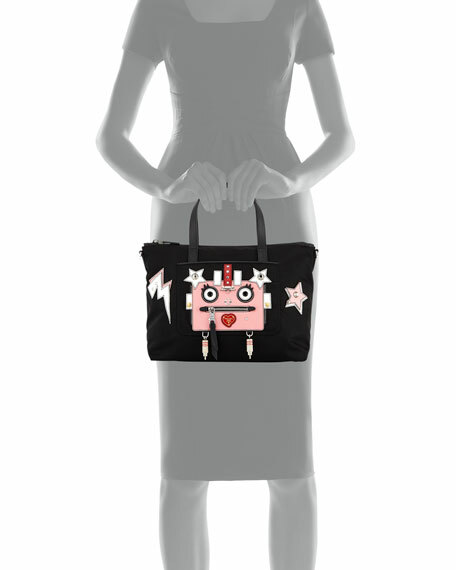 Prada nylon duffel bag with leather robot face and star features. Exterior, robot mouth creates zip pocket. Hanging plug and stud trim. For in-store inquiries, use sku #2362937.